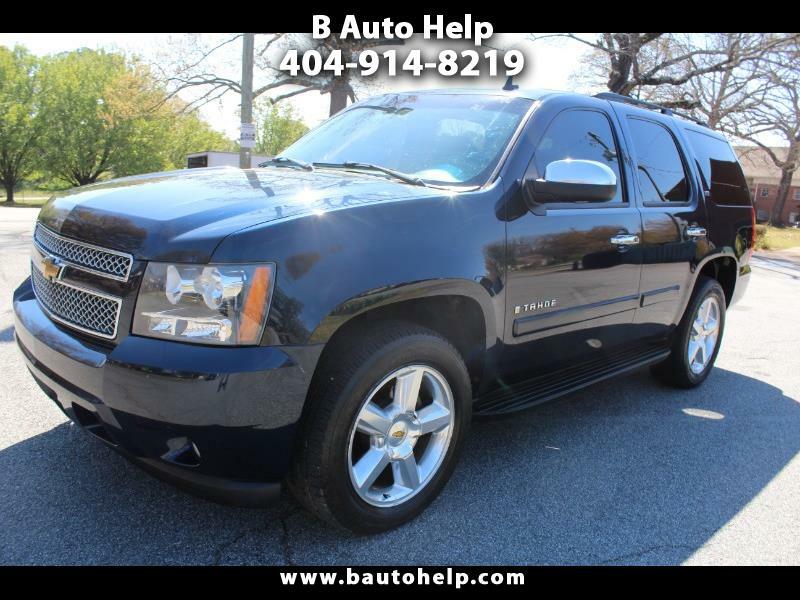 This 2008 Chevrolet Tahoe LTZ come with 4X4 could potentially be the vehicle of your dreams!!!!! !Clean CARFAX****Personal Vehicle*** ***LOCAL TRADE***WELL MAINTAINED***PASSED EMISSION INSPECTION****Cold A/C**** No Accidents**Clean Title ***SERVICE COMPLETED***Optional Features Included on this are***PREMIUM PKG**LEATHER**POWER LIFT GATE***SUNROOF*** HEATED LEATHER SEATS**BACK UP Sensor*Cruise Control**3RD ROW SEATS**4X4 LTZ TAHOE***memory seat***DVD***** Two Sets of Keys*****AND MORE!!!! ***Why B Auto Help? ***No hassles***No Worries***NO FEES** Peace of mind. You will be able to purchase your next vehicle with confidence!!!!!!! !